259 card set. 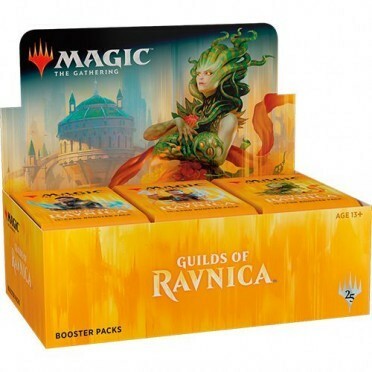 On Ravnica, whoever you are soldier or scientist, merchant or spy your guild is the core of your identity. It provides structure and greater purpose. Now, the time has come to defend it. The first set in a three-set journey to one of Magic's favorite planes. Pre-order a box in advance of pre-release weekend and you'll be able to pick it up in our store -- along with your buy-a-box promo -- a week early, on Saturday, September 29.